After relying on Google’s 3D Warehouse so many times, I decided it was time for me to give something back to the modeling community. So I started to collect my own SketchUp models from the past and select the ones good enough to put out there for others to use. I also plan to share any new models I will be creating in the future, so make sure to check my collection from time to time. 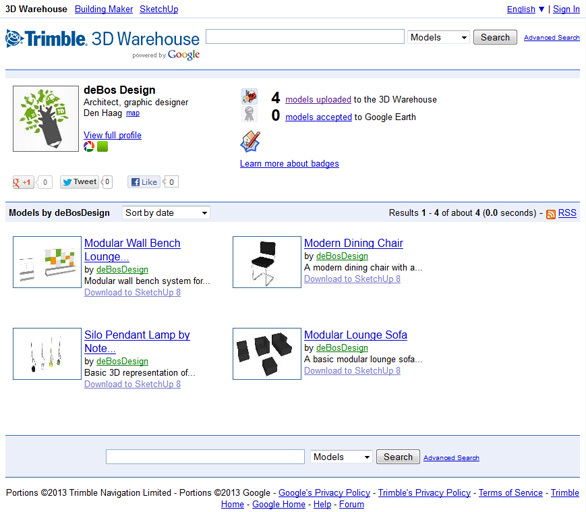 To visit my collection on the Trimble 3D Warehouse, click here or on the image below.